So I have the best Dad in the world. 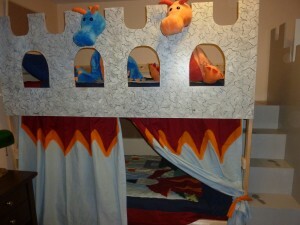 He helped us turn a mydal bunk bed from Ikea into a castle bunk bed with stairs. First we switched the ladder from the “front” to the end. 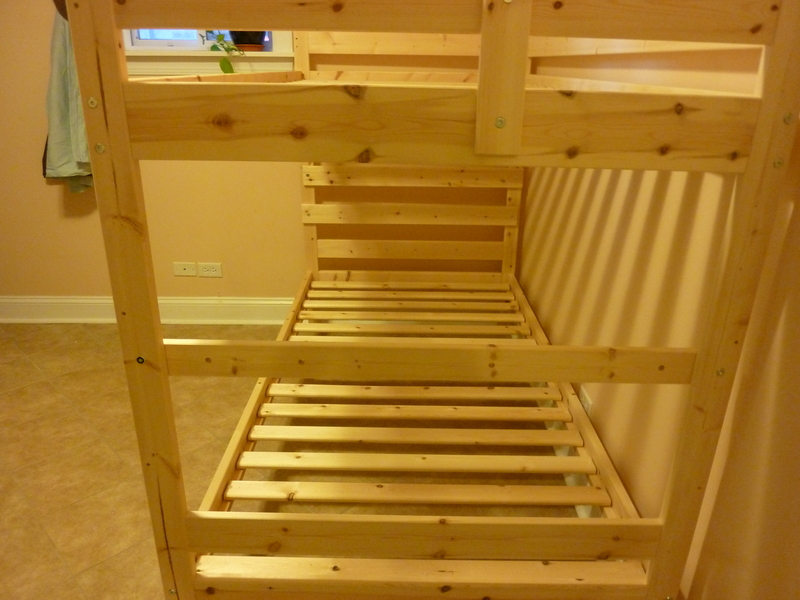 So we added in a bar on the foot of the bed, and then created an opening on the foot for the top bunk by attaching a bar (the old ladder side piece) and then sawing off the two end pieces. 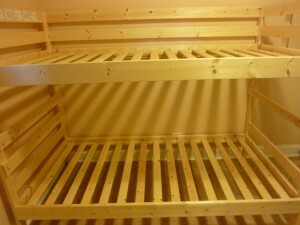 We didn’t attach the rails for the top bunk. 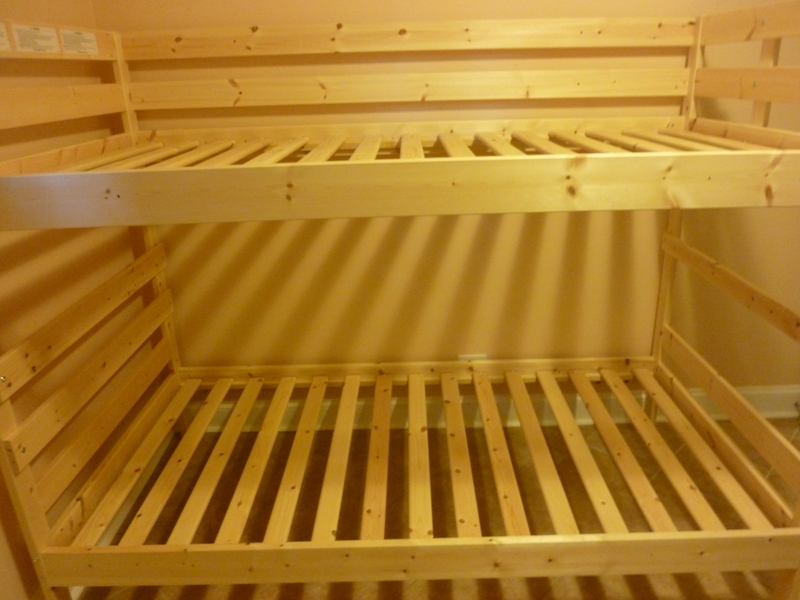 These became additional bars at the head of the bed as something to rest against. My son wanted to help, so he put foot prints going up. 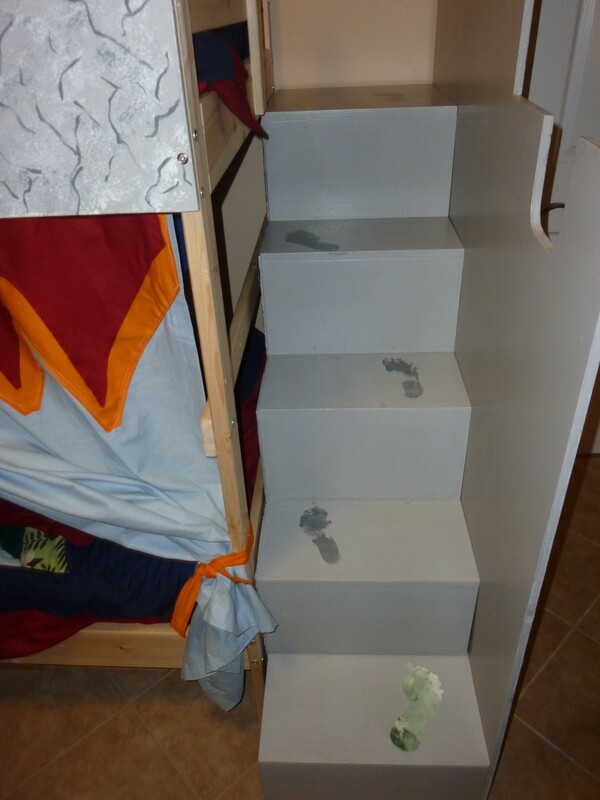 This is a railing piece that keeps the kids from falling off of the stairs, and provides access to two book shelves made out of the stores for storage. I painted them with vines. 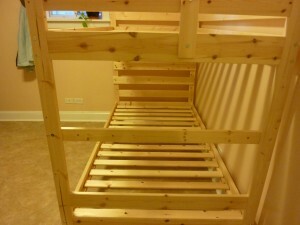 We attached another pieces of plywood that acted as the top bunk railing. 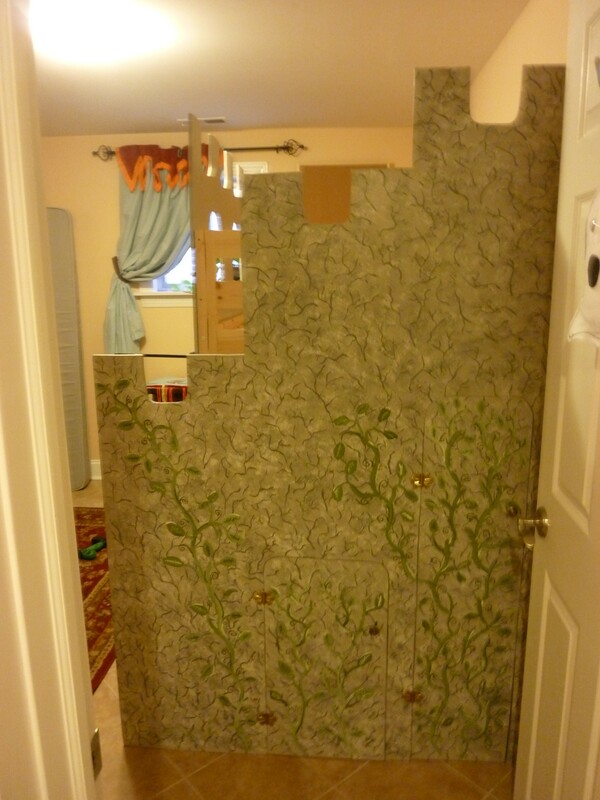 We cut windows into it and a scalloped top. Then I painted like stone. The final touch is a set of curtains for the bottom bunk and matching hand made quilts.